This entry was posted in Canada Canada Immigration and tagged Canada Immigration skilled on May 15, 2015 by Blog Author. With a thriving and flourishing economy, Canada has topped the list as a coveted destination for skilled applicants. It is recognized as an advanced and prosperous country. Every year this world-class destination welcomes nearly 200,000 to 250,000 skilled professionals to work in the vacant positions where the country is currently experiencing the shortage. 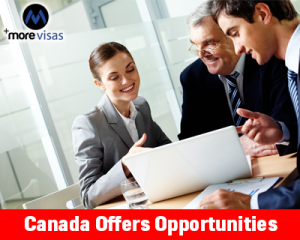 An overseas skilled worker who possess special skills and qualifications, and planning for Canada skilled immigration need to gain detailed cognizance on its new immigration systems and visa options. This vibrant, cultured nation offers a lucrative number of career and employment opportunities and enviable options for individuals planning to migrate to Canada. Furthermore, it also provides multiple channels to immigrate to Canada from India. As per the new statistics of the nation, two-thirds of Information technology firms are showing more interest towards overseas skilled workers who work in a better way for their organizations. A skilled worker can choose any of the possible Canada skilled immigration channels to relocate to their dream destination effortlessly. The following are the few options that a skilled professional can make use for immigrating to Canada. Canada Experience Class: This special visa class is mainly designed for overseas workers and students who are already residing in the nation on a temporary basis and planning for Canadian citizenship. An overseas applicant is selected based on the work experience and education. Quebec Selected Skilled Workers: Individual, who possesses valid job offer and scores qualifying marks in the test are eligible to apply for Canadian permanent residency under this program. Federal Skilled Workers Program: This is one of the most popular programs for applicants who are planning to attain the Canadian permanent residency. Here the credentials of each are assessed based on certain factors such as work experience, education, age criteria, language proficiency, adaptability and many more. Federal Skilled Trades Program (FSTP): Overseas skilled worker who possesses relevant work experience in precisely skilled trade are eligible to apply for permanent residency of Canada under this special class. Provincial Nominee program (PNP): An applicant holding a relevant employment offer from the employer of the province can obtain the permanent residency. If you want to apply Canada skilled Visa, fill out our Enquiry Form, so our visa expert will get back to you.